No other producers are currently attached. Toby Emmerich, president and chief content officer of Warner Bros. Pictures Group, is overseeing with Jon Berg and Geoff Johns. The new project originated in the past month following a meeting between Whedon, Berg and Johns. The movie project will be based on the Batgirl story that was first unveiled in DC Comics in 1967, when Barbara Gordon, the daughter of Gotham City police commissioner James Gordon, appeared as the character in “The Million Dollar Debut of Batgirl!” by writer Gardner Fox and artist Carmine Infantino. 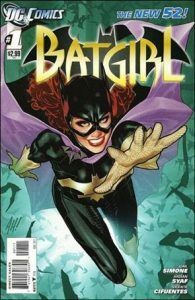 The first mention of Batgirl came in 1961 as the character Betty Kane, niece of Kathy “Batwoman” Kane, in Batman #139, created by writer Bill Finger and artist Sheldon Moldoff.